Image: Image: EHStockphoto. Design: Ashley Britton/SheKnows. We’ve all been there with the dreaded stomach bug. Nausea, vomiting—you’re looking for anything to relieve the misery. And while it’s hard to keep anything down, many people keep a stock of ginger ale in their fridge to sip on in these desperate times. We can credit our moms for teaching us that one. So how can you take advantage of ginger’s nausea benefits in other forms? “Ginger comes in powdered varieties and may be the easiest to measure, but fresh ginger can be enjoyed by grating it into food or steeping in a tea,” says Majumdar. 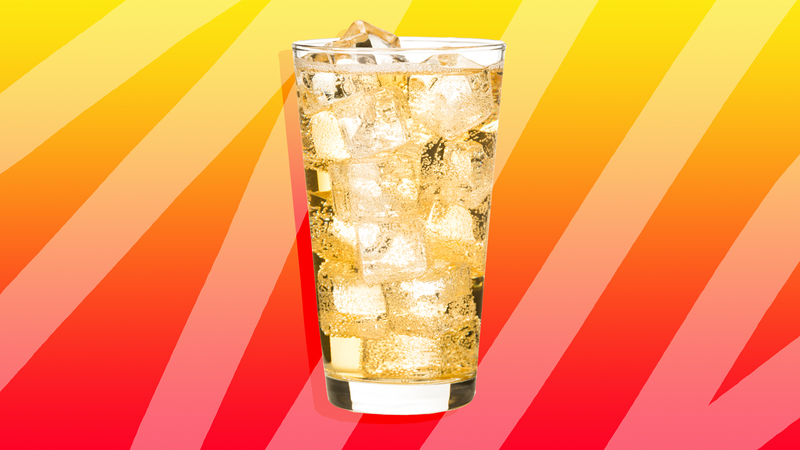 But at the end of the day, if ginger ale does work for you, it’s okay to stick with it. “The most important factor in dealing with an active stomach bug would be hydration,” says Majumdar. “In that case, whatever sounds appetizing and is fluid is a good remedy, as dehydration can further cause nausea and vomiting and should be avoided.” Bottom line: If you have a tried and true strategy that makes you feel better when sick, you should continue with it. If you haven’t noticed any improvement with ginger ale but like the taste of ginger, switch to ginger powder or fresh ginger for more relief.